Insects live in almost every part of the world and in almost every environment. As humans develop land and create cities and suburbs, insects adapt to survive in these environments. Crickets thrive in people's lawns and gardens. Cockroaches also benefit from humans, invading people's homes for food and shelter. Crickets have front wings and hind wings. Cockroaches are wingless until adulthood. Like all insects, cockroaches and crickets both have six legs. Cockroaches have hard external shells to protect their bodies and wings. Most crickets have front wings that cover their abdomens and hind wings hidden under their front wings. Crickets have long legs used for jumping. 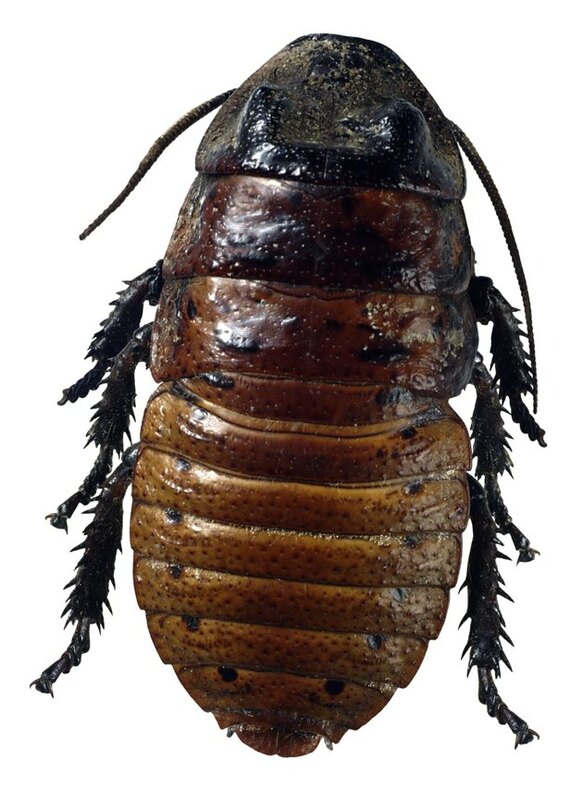 Most cockroach species and crickets are brown, black, or a combination of the two and use coloration for camouflage. Although they are both insects, cockroaches and crickets have few other similarities. In order to attract mates, male crickets rub their front wings together, making a chirping sound that attracts female crickets. Male cockroaches are sometimes aggressive while mating; crickets are not. Male cockroaches perform various acts such as flapping their wings, hissing and displaying their abdomens to attract females; sometimes they even mimic females in order to get close enough to initiate mating. Some cockroaches even eat nonorganic materials like paper. Crickets are found most commonly in grassy fields and lawns, near trees and logs, and under rocks. Crickets are omnivores, which means they survive by eating plant and organic material. Although crickets do not hunt, they scavenge for decaying matter and rotting vegetation. 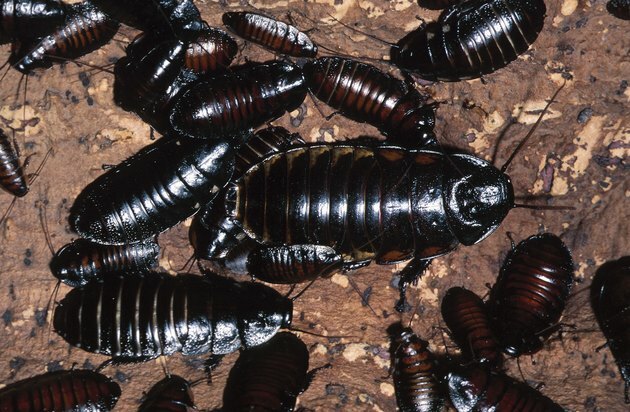 Cockroaches can live almost anywhere but especially thrive wherever there's moisture. Most of these highly adaptable insects survive by eating plants, insects and organic material. 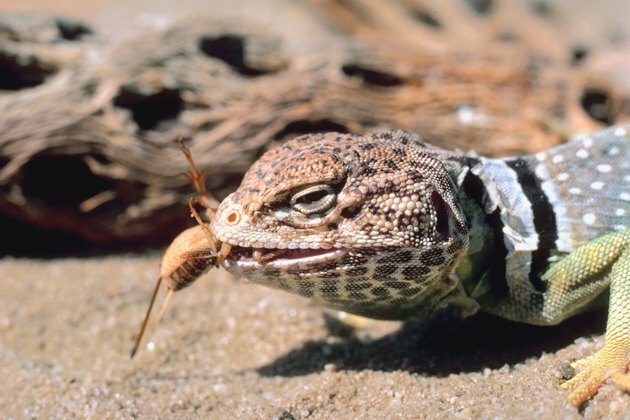 Crickets are critical to the survival of certain reptiles. Crickets usually have a positive impact on their environment. Crickets enrich the soil as they eat decaying matter and digest their food. Other insects, birds, reptiles and mammals include crickets as a part of their diet; cockroaches are also a rich source of food for their predators. 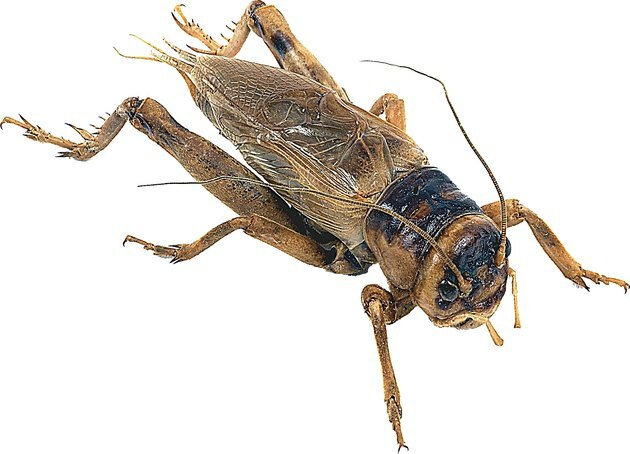 On the negative side, crickets in large groups may be destructive to crops, and some species of cockroach spread disease throughout peoples' homes because of the contaminated places they tend to inhabit and the bacteria they carry. Julia Story is an English as a Second Language tutor in Colorado. She has been publishing poetry and short stories since 1993, the most recent being a short story in "The Ourglass." Her first short play was performed in 2010. Story's areas of knowledge include education, computer software, food, health and travel. How Do Plants & Animals Depend on Each Other?